The Supreme Court directed the Central Bureau of Investigation (CBI) to initiate a probe into Saradha Chit Fund scam along other multi-crore ponzi scams after the Court was dissatisfied with the investigation of the Bengal-govt constituted Special Investigation Team (SIT), which the Court observed, had failed to trace the money trails. It may be noted that the said SIT was headed by Rajeev Kumar, who made a dramatic re-appreance yesterday to join the dharna called by Bengal CM Mamata Banerjee, after remaining untraceable since last few days despite several show-cause notices issued by the CBI to join the probe. The Supreme Court also observed that it wanted the Chit Fund Scam to be probed by an independent agency like CBI because of the involvement of politicians and influential persons in these cases. It is to be noted that Trinamool Congress MP Kunal Ghosh and the owner of the Saradha Group, Sudipta Sen, who allegedly shared cordial relationship with many TMC leaders, have already been indicted by the Court. The present face-off between the centre and the state over chit-fund scams has ample case for the proclamation of the “breakdown of constitutional machinery”. Art. 356 of the Constitution says that the President may invoke Art 356 – and take control of the administration of the state – if he is satisfied that a situation has arisen in which the government of the state cannot be carried on in accordance with the provisions of the Constitution. The SC-directed CBI probe into chit-fund scams hit a dead end yesterday after the Kolkata Police stopped the CBI from raiding the residence of Rajeev Kumar, who is believed to be shielding top TMC politicians, by withholding critical chit-fund related files that the CBI believe is crucial to proceed with the investigation. 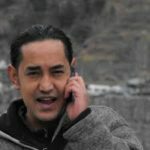 While the “breakdown of constitutional machinery” under Art 356 is a fuzzy one with no clear-cut interpretation, it needs to be read with Art 365 that grants the President the power to take over the administration of the state if a state fails to comply with the directions given by the centre. The obstructions caused by the Bengal govt, including the holding of the CBI officials by Kolkata Police, into the SC-directed probe have thrown the state into constitutional crises, and it is now only fair – and also binding – for the centre to act on the crises by invoking appropriate constitutional measures. As tempting as it might be for the Center to implement President’s rule, they will in all likelihood wait out for this storm to pass, much like how they waited for Gorkhaland agitation to simmer down. As far as BJP central leadership is concerned, they seem to be in no mood to give Mamata any toe hold. 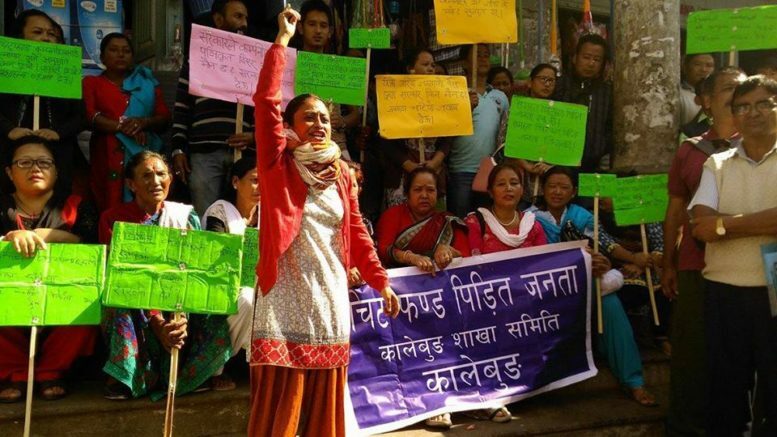 As it has now come to be understood the Gorkhaland agitation of 2017 was fanned by the Mamata government, to push BJP into a corner and force them to take an action for or against Gorkhaland. 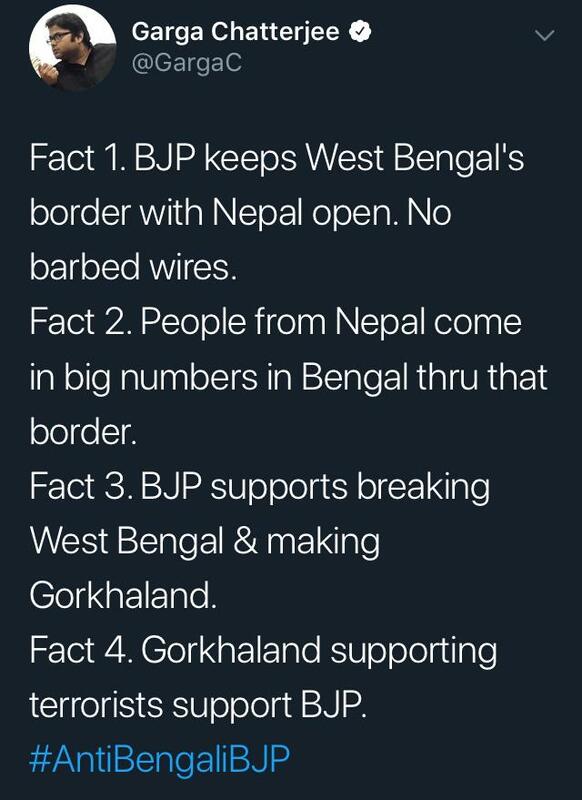 Any pro-Gorkhaland action would have resulted in Mamata evoking “BJP Bongo Bhongo Korche” feelings among the Bengali masses. But BJP stayed aloof and didn’t intervene in how the Gorkhaland issue was handled. This has resulted in TMCs failure to evoke sentiments of BJP being anti-Bengal. Similarly the actions of past one month on the part of TMC government refusing Modi, Amit Shah and other BJP leaders permission to hold rallies, slapping false charges on BJP leaders, and ranting against unfounded Hindi language imposition in Bengal. Getting the entire CBI team out to interrogate Kolkata Police Commissioner detained, and CBI regional headquarters gheroed by WB police personnel. All such provocations point to TMC itching for a fight. They want to corner BJP once again into taking a drastic action – such as invoking President’s rule in West Bengal, which they can then use for victim mongering. What failed during the Gorkhaland agitation, they hope can now be achieved through taking a stand against CBI – a Central government agency. For BJP, not taking a decisive action could result in a loss of face. Their repeated failure to confront Mamata on various law and order issue, has already demoralized their grassroots level workers, and if they fail to call off Mamata’s bluff once again, they will have a serious credibility crisis. Only time will tell, if BJP will manage to come unscathed out of this latest crisis created by Mamata. BJPs performance in West Bengal in the upcoming 2019 general elections may very well be defined by how it manages to handle this situation. A strong decisive action could actually put BJP into the driver’s seat. Many TMC fence sitters could actually jump ship and join them. Power held by Mamata in Bengal is complete and absolute, and the fear of retribution is what has held back many from abandoning TMC. If BJP can show that there is nothing to fear from TMC – in terms of administration, law, sanction of law, it could actually open up the flood gates for many TMC leaders and their supporters to abandon Mamata. 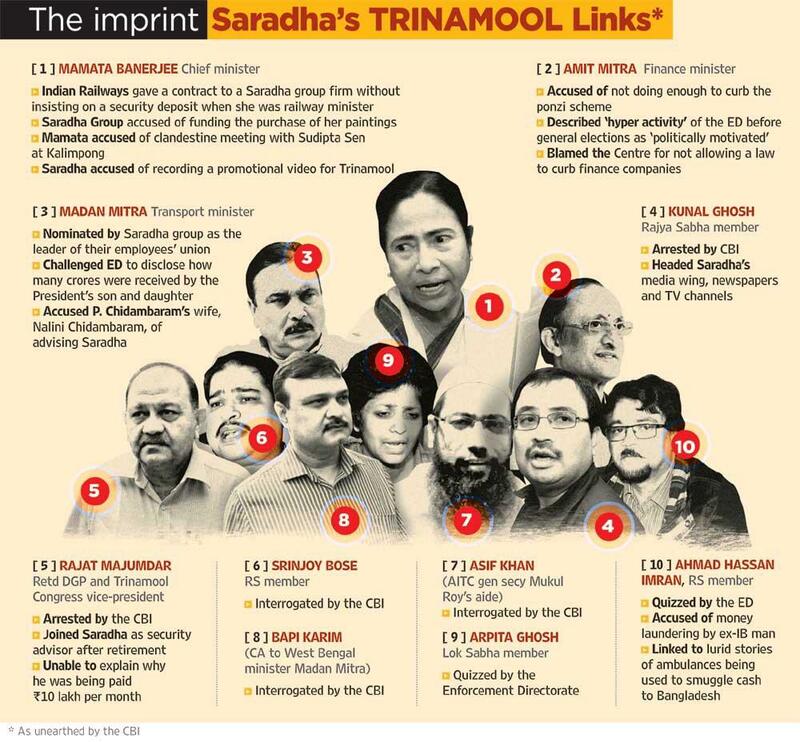 At the root of this whole crisis lies a series of Chit Funds linked to the Trinmool Congress – Saradha, Rose Valley, Basil – all of these have been linked to the rulling TMC. These chit funds left thousands of families devastated. Their life’s savings wiped off. 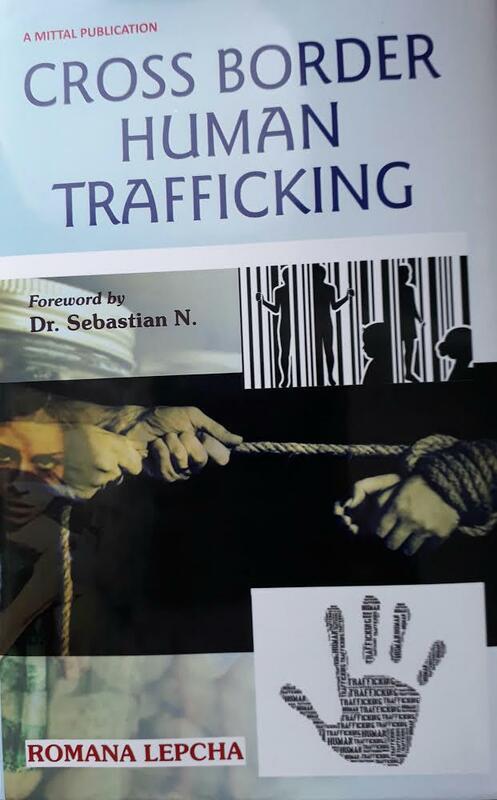 Hundreds committed suicide in its wake, and over a million households have been left without any safety or security. Those who looted the public using chit funds, didn’t target the rich and the mighty. They preyed upon the most vulnerable of the lot. Tea garden workers, daily wage earners, labourers, bidi factory workers, rickshaw pullers and so on. 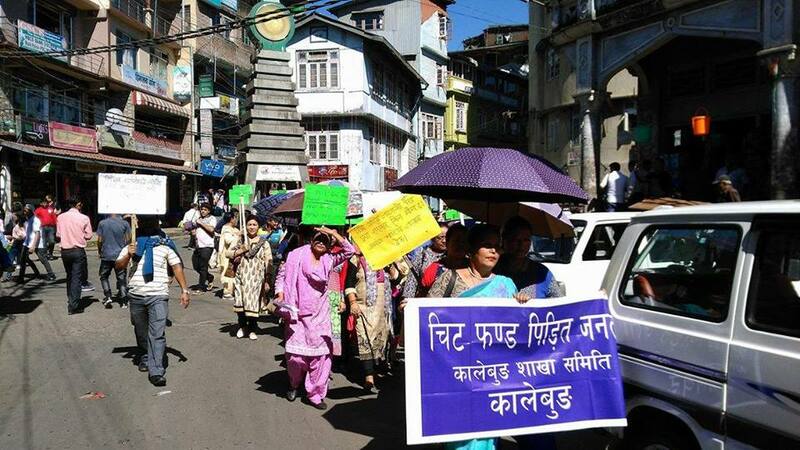 In Darjeeling, Terai and Dooars region, over 50,000 families are estimated to have been affected, they formed an organization “Chit Fund Pidit Janta” to fight for recovering their life’s savings. But till date, they are yet to get any of their dues back. Will the hill politicians have the decency to speak for them? The absolute lack of conscience on the part of politicians in Bengal, and particularly those recent converts in the hills, to have any empathy towards these suffering families is testament to their abject poverty of ideology, and self-respect. To support any party or an individual, over the collective suffering of the masses displays politics of vulturism – politics done over the dead body of the masses. This doesn’t bode well for our community and country. But karma could soon catch up, and if the President’s rule is imposed, sooner, than most have imagined. If the President’s rule is imposed in Bengal, it is more than likely that along with all elected bodies, the Gorkhaland Territorial Administration, which is currently being run by an appointed Board of Administrators could be dismissed, and the administration could be directly passed onto the bureaucrats to run. 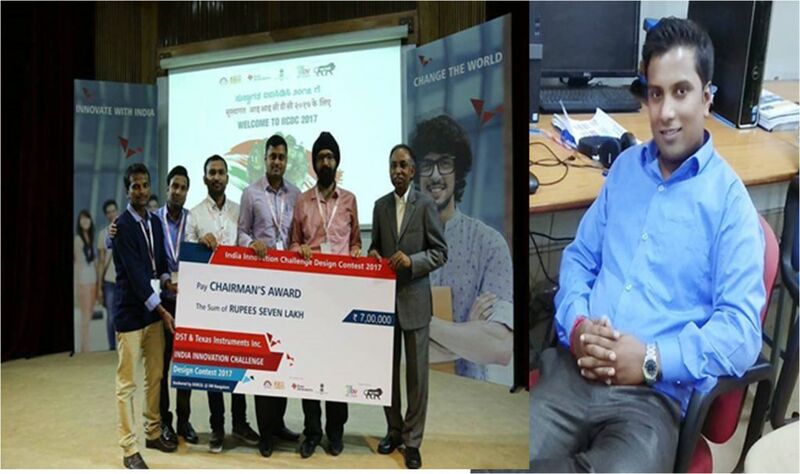 If such a situation arises, the state patronage to not just some local politicians, but also the Development Boards is likely to come to an end. In case of President’s rule being implemented in Bengal, it will be interesting to see how the fate and fortunes of those who have sworn their undying loyalty to Mamata, gets affected. Will the public stand by them or abandon them? 1 Comment on "President’s Rule in Bengal – Possibilities and Implications"